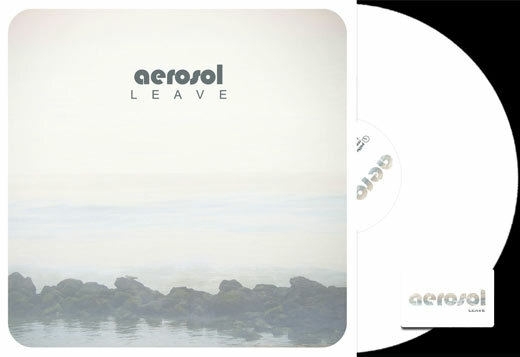 [ships to arrive on or near May 15th] Leave is the third album from Rasmus Rasmussens ethereal electronic project Aerosol. During the nearly six years that has passed since it's predecessor Airborne, Rasmussen has spent his musical efforts in acid rock outfit Causa Sui and as part of various constellations, playing alongside musicians from Sunburned Hand of the Man and legendary kraut bands Can and Faust. These freeform psychedelic influences seep into the already recognizable style of hazy electronics, known from his own previous work as well as from the music of his colleagues in former band Limp (Manual/Syntaks). Cosmic sounds and psychedelic effects mingle with cascading guitars and kraut-infused beats on a collection of tracks that sends obvious nods to the german synth pioneers of the seventies, but is still unmistakably an Aerosol-album - an album set on beating emotions, moods and melodies out of old synthesizers, cheap drum machines and Rasmus' trusty white Stratocaster.